Quality Assurance/Technical Assistance: Live chat at Monoprice.com Mon through Fri 6am - 6pm PST | Email at tech@monoprice.com | Phone at 877-271-2592 Mon through Fri 6am - 5pm PST. 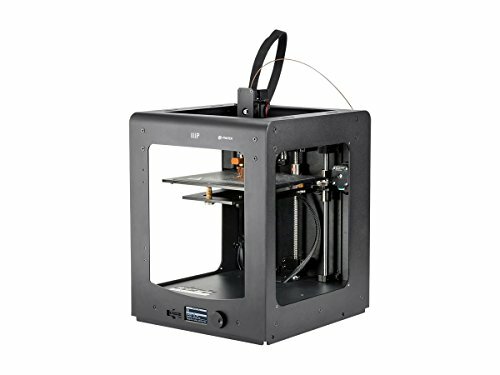 Professional Features: The all-metal extruder and heated print bed means that this printer can handle almost any filament type, from the common ABS and PLA plastics, to more exotic materials, such as PVA, HIPS, flexible TPE/TPU, and even metal and wood. Anti-Jam: The geared, anti-jam feeder is designed to reliably feed filament, so you won't have a long print job ruined by a failure to feed the extruder with filament.